Rumination Garden – A Digital Initiative (2015-2018) – Collaborate. Share. Change. Rumination Garden (RG), from 2015-2018, was an emerging thought leadership hub that wields the power of journalism and innovation labs to highlight the work of artists, social entrepreneurs, and civic-minded organizations engaged in efforts that help better our communities, society, and the world. Through two central initiatives: SAAP (Social Art and Artistic Practice) and CISE (Civic Innovation and Social Entrepreneurship), we engage art practitioners and social innovators to further the development of an arts-centered approach to public impact, contribute to national discourse around civic innovation, and contribute to a robust ecosystem of interdisciplinary, cross-sector collaboration. 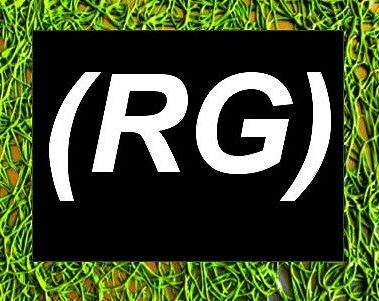 (RG) is devoted to celebrating artists, creative thinkers, and artistic works that support new perspectives on social and cultural challenges, as well as the efforts of community leaders and others working to better their communities. Interdisciplinary means understanding the value that multiple fields of study can bring to the collaborative process. For instance, how can a playwright, public health practitioner, and web designer work together to make access to healthcare services easier for vulnerable groups in their state? How can a visual artist, nonprofit leader, and community organizer raise awareness about the need for reliable transportation for low-income families in their neighborhood? These kinds of partnerships not only result in the identification of solutions; or the achievement of specific goals that support solutions, but also result in learnings that can be shared with those in leadership positions and organizations who serve the above groups, to bring about change. Bring awareness to issues of social or cultural importance. Improve the lives of people. Improve the functions of cities and communities. Further solutions to social, cultural, or environmental challenges. Rumination Garden (RG) believes interdisciplinary work is essential in order to solve today’s most complex social challenges. Through dynamic labs, in which social entrepreneurs, technologists, nonprofits, artists and others, convene to brainstorm practical solutions to issues that impact local communities, we advance the development of a national framework in which people from all walks of life can come together to bring about change. RG holds SAAP and CISE labs twice each year. A Case for Medieval Astrology and Modern Genetics: Is There A Such Thing As Destiny? Rumination Garden (RG) is an emerging nonprofit centered on social change thought leadership and interdisciplinary collaboration.